This classic and superior horror work from Mario Bava is difficult to describe. First of all, it's important to explain some of the film's history. 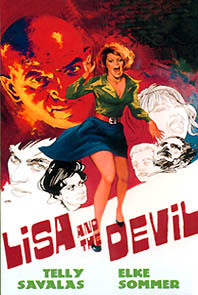 Lisa and the Devil was first released in 1972. An expensive and ambitious movie, it did not receive the reception it deserved. A few years later - and after the fantastic critical and commercial success of William Friedkin's The Exorcist - producer Alfredo Leone went in and edited the movie, adding newly shot footage of a priest (played by Robert Alda) and replete with vomiting and other cliches. The re-edited version was titled Devil in the House of Exorcism and hit theaters in 1975 to horrible reviews. Approximately fifteen minutes of Bava's original film had been cut to make room for the new scenes. Incomprehensible and atrocious, avoid The House of Exorcism and seek out the beautiful restored version. 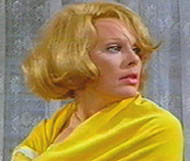 Lisa Reiner (Elke Sommer) is a tourist traveling through a Spanish village. During a walking tour, her guide points out a huge drawing on the side of a building. In it is a representation of the devil, carrying off the dead. Legend has it the presence of Satan in the region is the only reason the fresco has survived all these years. The painting mesmerizes Lisa. Hearing a haunting piece of music, she wanders off from the group and finds an antique shop. Inside, the owner (Franz von Treuberg) is working on a dummy for a customer. Lisa is interested in buying the music box - but is told it already belongs to someone else. 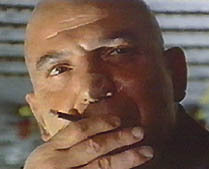 When the customer (Telly Savalas) turns around, Lisa is shaken by the man's eerie resemblance to the image of the devil she just saw. She leaves and soon gets lost in a maze of old winding streets and buildings. Encountering a few inhospitable locals, they ignore her pleas for directions. Finally, she bumps into the customer from the shop, carrying his mannequin. He tells her how to get back to the main square. 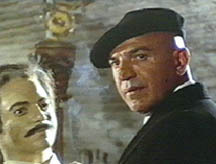 Another man (Espartaco Santoni) approaches Lisa. He looks uncannily like the mannequin and refers to Lisa as "Elena." The guy clearly believes she is a former lover of his. Lisa is frightened and pushes him down a flight of stairs, knocking him unconscious. Lisa spends the day looking for her group. Night falls and she is picked up by a couple named Sophia and Francis Lehar (Sylva Koscina and Eduardo Fajardo), who are being driven by their chauffeur George (Gabriele Tinti). There's very little conversation in the car and Lisa is struck by the apparent tension between the husband and wife. The vehicle stalls in front of a huge mansion. A butler greets them and Lisa sees that it's the same man from the antique shop. 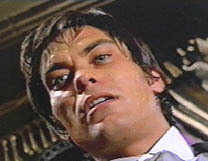 His name is Leandro and the house is owned by a blind Contessa (Alida Valli) and her son Maximilian (Alessio Orano). Max takes a liking to Lisa and insists that they stay for the night. The Contessa is reluctant but agrees - so long as they stay in the cottage. While walking to the guests' quarters, a lollipop-sucking Leandro tries to engage Lisa in conversation - but she is uninterested in talking to him. Sophia enjoys a tryst with her lover George. Mr. Lehar knows about the affair, she tells the chauffeur. "He's not blind. It's just that he doesn't care," she adds. The two proceed to make love. Meanwhile, Lisa is sitting in her room at a vanity table and accidentally knocks over an old watch. She goes into the bathroom and is frightened by someone staring at her through the window. It's the same guy she pushed down the stairs earlier in the day. During supper, the Contessa wonders where one of the guests is. She isn't talking about the chauffeur (who's conspicuously absent) - but about another mysterious person staying at the villa. Sophia takes note of the strange surroundings and calls the place "spooky." A loud thump upstairs gets everyone's attention. 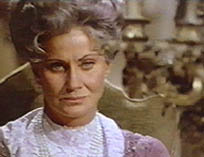 "I told you he'd be back," the Contessa says...adding that she wasn't introduced to the fifth guest. Max excuses himself to take a piece of cake to someone. We don't see who it is and it seems as if Max may be out of his mind. He speaks to his friend but she doesn't respond. He cries out to the mysterious fifth guest, asking, "Why did you return?" George has been working on the car and thinks he's fixed it. The Lehars prepare to leave - but Leandro tells Lisa that Max wants her to stay behind. 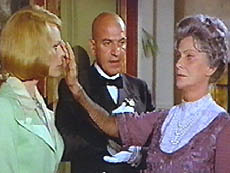 The Contessa appears and asks for a description of Lisa, as she touches her face and hair. Leandro obliges and the Contessa (believing that Lisa is Elena) tells the girl that she shouldn't have come back. "Now it's too late," she says. In an old book, Max finds an inscribed photo of Elena that reads "To Carlo...Forever, Elena." He promptly sets it on fire. Lisa becomes entranced by the music box again while sitting in the parlor. (A flashback shows us Elena and her lover Carlo intimately involved. We see that Carlo is the same likeness as Leandro's mannequin.) Max enters the room and kisses her but when Lisa opens her eyes, she's surprised to see Carlo. The Lehars go to their car but don't see George anywhere. Francis gets into a heated argument with his wife and smacks her. 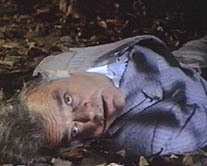 Sophia opens the car door and George's body falls out...stabbed by a pair of scissors. While Sophia grieves for her dead lover, Max tells Francis that the police must not be called. He says he doesn't want them prying into his family life. George's body has been placed in one of the bedrooms and Francis finds Sophia crying on top of it. Infuriated, he tells her they are finally departing. Although she's reluctant to leave before the burial, Sophia agrees to go. When she gets into the car, she suddenly realizes she has a chance to avenge George's murder. Because she believes her husband is responsible, she steps on the gas and runs over Francis repeatedly. Seven times to be exact. Talk about overkill! Lisa later comes into contact with Carlo and is thrown for a loop when she can't figure out if he's real or not. She ends up in a strange room filled with statues, forms and mannequins. Carlo finds her and she faints. As he holds Lisa in his arms, someone comes from behind and bludgeons him. Sophia can't find her way out of the huge mansion and eventually is cornered. She too dies a grisly death...at the hands of Max. But was Carlo real or just one of Leandro's toys? We see the butler handling his dummy and it has a crack in its head. 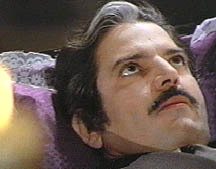 The Contessa then finds Carlo in a casket in the chapel. We discover that he was her husband and Max's stepfather. An affair between Carlo and Elena ultimately led to their murders. Leandro prepares to turn Lisa into a "puppet." She awakens and sees the Contessa checking up on Sophia's bloodied body. She finds Max and tells him his mom is after her. "My mother is jealous beyond reason," he replies. They kiss and plan to go away together. But first, Max tells Lisa he wants to bring her to Elena. He takes her to his room and pulls a curtain away from the bed. Lisa is horrified to see the skeletal remains of the woman and starts to feel faint. As Max talks about Elena's "betrayal," he readies a cloth soaked in chloroform and proceeds to make Lisa unconscious. He then undresses her on the bed and attempts to make love to her next to Elena's corpse. However, he is unable to perform. Max goes to the chapel and begins knocking everything over, including the casket with Carlo's body. He says the trimmings should be for a wedding and not a funeral. 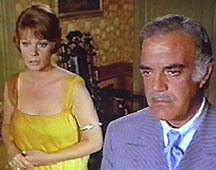 The Contessa tries to talk to him and asks her son why he's killed the guests. He says they were going to "take his Lisa away." His mother tells him that Lisa must disappear too because it's the only way to cover their tracks. Max is determined to escape her grip once and for all and stabs her. Now free to be with his "lover," he tries to find Lisa. Instead, he discovers a macabre scene in the dining room. The bodies of Sophia, Francis, Elena, Carlo and George are seated around the table. Elena is decked out in a wedding dress and there's even a cake for the occasion. What's more, the Contessa doesn't appear to be dead. She walks towards Max, almost lifeless and expressionless. He backs away from her and falls out of a window to his death. Leandro pulls the old woman away from the window and we see it was actually an animated mannequin belonging to him. And here's where the movie turns even more surreal if that's possible. Lisa wakes up to find the surroundings covered with vegetation. The house and the grounds are in ruin. She stumbles out and sees a mannequin form of Max on the ground. To Lisa's relief, she comes across a group of children playing just outside the property. But the good feeling doesn't last long. One of the girls refers to her as a ghost and says, "No one has lived here for 100 years." The kids run away from her. She makes her way back to the center of the village, where Leandro watches her. The man from the antique shop brings him a likeness of Lisa - but Leandro tells him, "It's too late." Lisa hails a cab to take her to the airport and it looks as if her nightmare is over. She boards the plane and it takes off. Before long, she notices that she's the only passenger! She makes her way to the back of the craft...where she finds the bodies of all the dead people from the villa sitting upright. Terrified, Lisa runs towards the cockpit. Guess who is piloting? Of course, it's Leandro himself. He calls her Elena - and with that, Lisa slumps dead to the ground...dressed and looking like Elena. This odd, unsung classic was an Italian/West German/Spanish production. Mario Bava's vision was brilliantly realized by his cinematographer Cecilio Paniaqua. And the music of Carlo Savina is an unbelievably lush asset, adding to the dreamlike atmosphere. The Overlook Film Encyclopedia has this to say about Lisa and the Devil: "The overwhelmingly morbid sense of necrophilia exuded by the movie, with Bava's camera lovingly caressing draperies and corpses, is punctuated by flamboyantly eerie exterior night scenes in which the director's morbid romanticism achieves intensely beautiful effects." It's not often we have surreal beauty realized in horror films. This dreamlike world of the bizarre is one of the rare exceptions and also one of the purest examples of filmmaking done wild, uninhibited, a free river of thought and action. 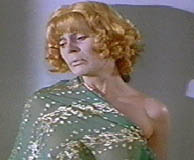 If you can't handle the stream of consciousness plot (or lack thereof), then delight in Elke Sommer's beauty, which perfectly pulls us into her nightmare/fantasy. Or ponder Bava's pre-Tourist Trap fascination with mannequins versus humans. How about merely enjoying the delirious Telly Savalas...apparently having the time of his life in this role, a welcome break from the Spanish westerns he was making around this period. He is outrageous and it seems at times as if he's acting in an entirely different movie. Mischievous, conniving, child-like and funny...a sensational portrait of Satan if there ever was one. And don't forget the lush scenery and decaying pervasiveness of the Contessa and her castle, the blue, yellow and red lighting, the gloomy cemetery out back...and the dinner party attended by all the dead. Whatever you want, you will find it here. An absolute masterpiece. If Bava had made only this one film, it would be enough to cement his reputation. It would seem that this movie was ahead of its time. According to producer Alfredo Leone, Lisa had a successful screening during the Cannes Film Festival and he had to arrange additional showings. He has said the problem was selling the movie to distributors and foreign buyers. It's no excuse for what he did to it with his added footage three years later.